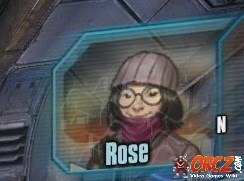 Rose Yin in Borderlands: The Pre-Sequel! Rose Yin is a supporting NPC in the Recruitment Drive mission of Borderlands: The Pre-Sequel!.During the Recruitment Drive mission, the player is tasked with helping Rose put up flyers as well as fighting off whatever enemies come their way. Throughout the mission, Rose refers to her ex-partner Gabby using female pronouns which has lead fans to include Rose as another lesbian (or at least woman-loving) character in the Borderlands universe. A transcript of the dialogue from the Recruitment Drive mission can be read here. This entry was posted in 2010s, Characters, Games by Decade, Lesbian, Lesbian (explicit), Queer women on June 19, 2018 by Adrienne Shaw.